Author Written by Abdel Razak M. and last updated on Posted on March 28, 2017 . 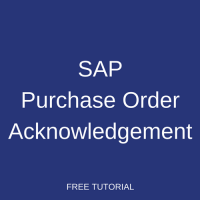 This tutorial is part of our SAP MM course and it talks about SAP Purchase Order Acknowledgement. We will discuss the business background of acknowledging purchase orders and explain how it is implemented in SAP ERP. 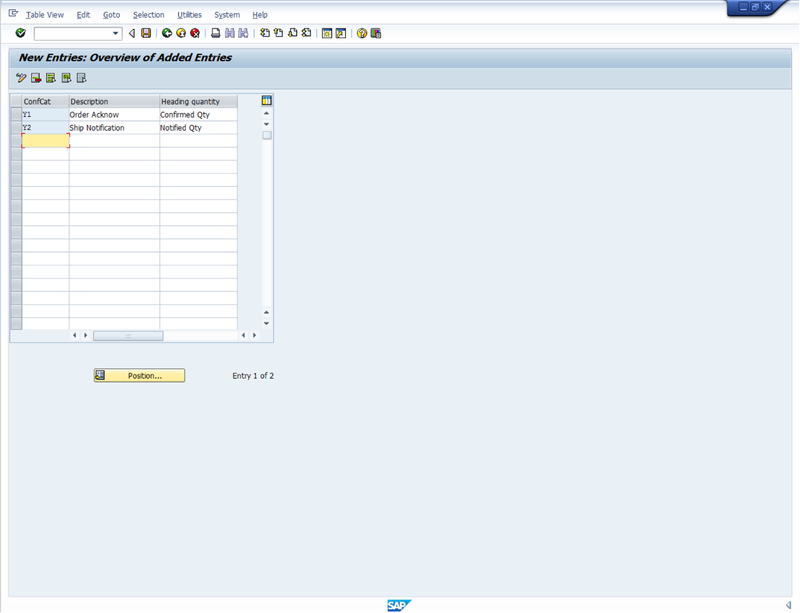 You will learn how to manually enter an acknowledgement of a purchase order in SAP. As a document that shows the intent of a buyer to buy a certain quantity of products at a certain price from a specific vendor, a purchase order is an external document sent to a vendor as a written confirmation of what a buyer need to acquire. Depending on the legal jurisdiction involved, the purchase order can be considered to be a legally binding document. As such, a customer can request a vendor upon reception of the purchase order to communicate its intent in accepting or declining to provide the needed goods or services. The vendor communication to its customer regarding a purchase order is known as purchase order acknowledgement. This confirmation is manually entered into SAP and called SAP purchase order acknowledgement. The case where a confirmation is loaded automatically is when that confirmation is sent from a vendor using EDI (Electronic Data Interchange) interface. Vendors can communicate in the form of fax, email or EDI (Electronic Data Interchange). These communications are essential for the buyer as they provide updated information on delivery of goods. Each of these four events is configured with a confirmation category within SAP ERP Material Management in order for a supplier to communicate on them upon reception of a purchase order. Let us talk about SAP purchase order acknowledgment. SAP purchase order acknowledgement is used to ensure that a vendor received a purchase order and is sending back an acknowledgement. 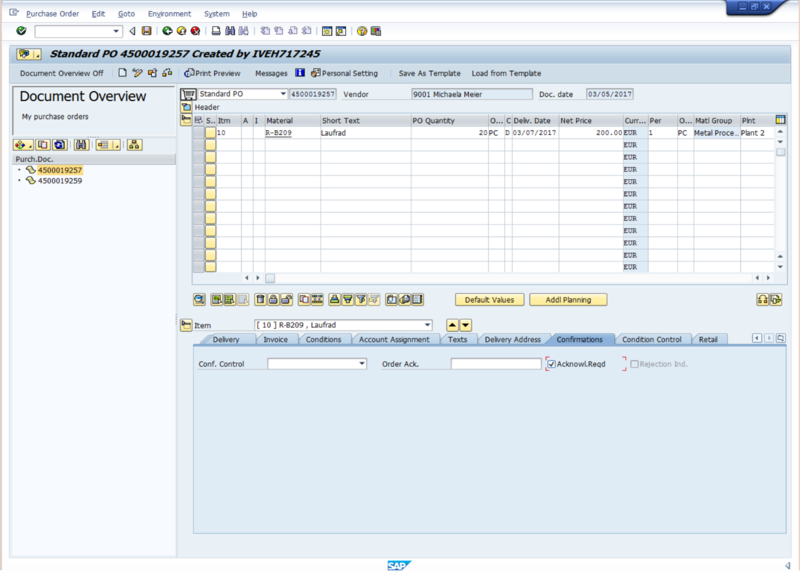 SAP ERP links a purchase order acknowledgment to a confirmation category. Confirmation categories are configured for external and internal confirmations. External categories are defined for manual entries of vendor confirmations, while internal categories are for the supplier confirmations received through EDI. Let us focus on SAP purchase order acknowledgement as an external confirmation category. Please also note that the numbers that will be mentioned in the tutorial (for example, numbers of purchase orders, etc.) are just for illustrative purpose. Learners are most likely to have different numbers according to their SAP configuration. SAP ERP allows buyers to require an order acknowledgement from vendors. Let us use the purchase order number 4500019257 to show how. 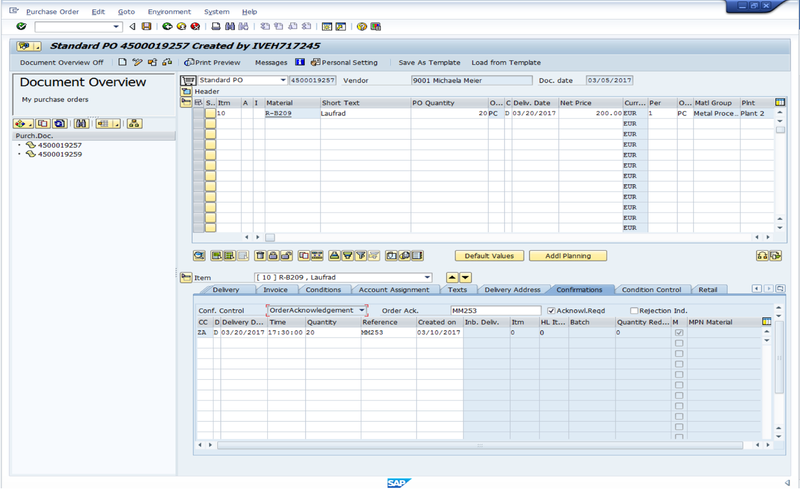 Enter the transaction code ME22N into the SAP command bar. In case the left sidebar is not opened, please click Document Overview On button. Then, click the selection variant button and look for My purchase orders in the document overview (left hand sidebar). Thereby, the purchase orders created before are displayed in the left frame of the window. In our case, there is no need to open the purchase order number 4500019257, as it is already open on the right frame of the screen. However, if the purchase order you desire to change is not automatically opened, double click on the purchase order number and when it is opened in the right frame of the screen, click on the display/change button to be able to change it. Next, let us click on the item detail button , then on the Confirmations tab and tick check box. Let us change the delivery date to 03/20/2017 in the item overview. After pressing Enter button, let us also change the statistical delivery date in the Delivery Schedule tab of the item detail and save the purchase order. While creating the purchase order number 4500019257, we did not require any acknowledgement from our vendor. By ticking the acknowledgement required checkbox button, that condition is enforced making it compulsory for the vendor to communicate its intents to the buyer upon reception of the purchase order. There can be also be scenarios where the purchase order is sent without any confirmation key and a vendor is still communicating upon reception of this purchase order. 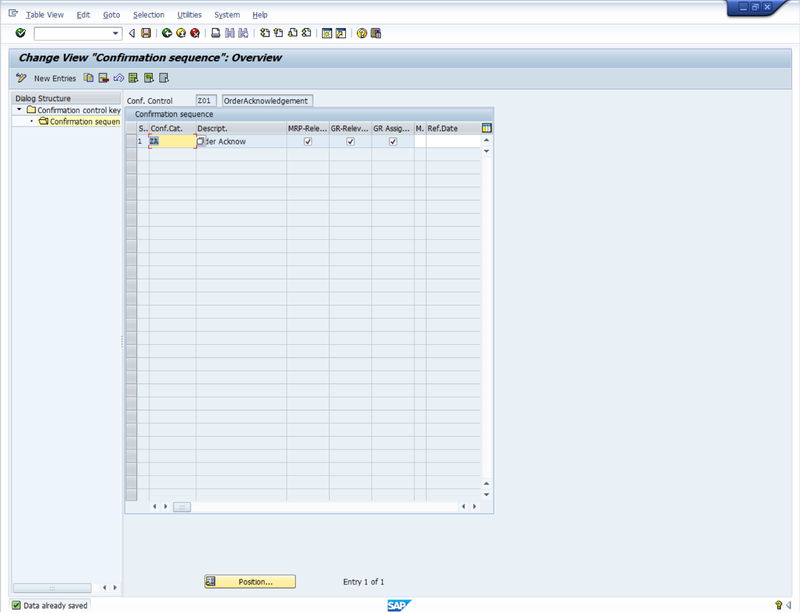 Enter the transaction code SPRO into the SAP command bar. On the screen that will displayed, select an entire record of the confirmation control key on the right frame of the screen. In our case, the line selected is the predefined line with Order Acknowledgement as description. In the case where there is no such confirmation control key description, you can create your own key by clicking on the button New Entries or continue by double clicking on Confirmation sequence on the sidebar of the screen. Then, in the Confirmation sequence table, change the confirmation category to ZA, which is the confirmation category we set for order acknowledgement and save. Let us imagine that the purchase order number 4500019257 had been sent to a vendor that has just sent back a purchase order acknowledgement by fax. To enter this purchase order acknowledgement manually into SAP, let us use the transaction code ME22N. Then, select the purchase order sent to the vendor and if the purchase order you desire to change is not automatically opened, double click on the purchase order number and when the order is opened in the right side of the screen, click on the display/change button to be able to change it. Next, go to the Confirmations tab in item details and click on the confirmation control dropdown box to search for OrderAcknowlegment. After selection, press enter. After pressing Enter button on the keyboard, let us save the purchase order. In the case, the acknowledgment required check box was ticked and the Order Ack. field was there for information purposes only. However, there are business scenarios where SAP purchase order acknowledgement can be an important step in the procurement process. I d like..to have some information about SAP arriba . Is there a tutorial about this e.procurment flows? 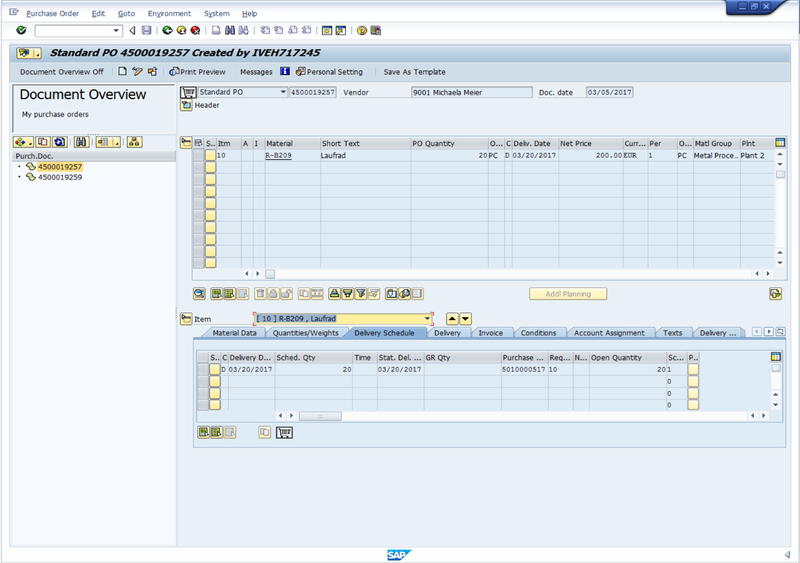 Is there anything in SAP currently that would allow the supplier to automatically upload confirmation dates weekly. Like sending them something similar to ZMMAE open order report and have them make any changes and submit – to automatically upload into our SAP system. Yes, I think you should look at establishing EDI integration with your supplier to allow this. IS there any standard report from SAP that will show the information that is entered in the Order Acknowledgement … such as “confirmed” delivery date and the “reference” assuming it is different than the Delivery Date of the PO…. Is it possible to automatically fill in an order acknowledgement for several lines at once? 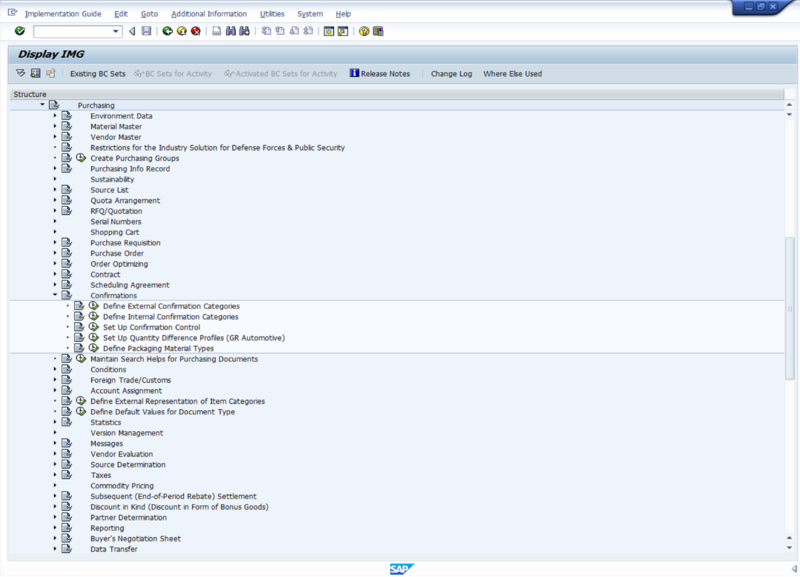 Is there some process in SAP to run a report showing a list of PO’s that do not have confirmations? I have a difficult time running through all the open PO’s to check to see if confirmations have been received. A report that shows which ones still need confirmations would be easier for me to do my job. Hello Greg, we use ME92F for checking for missing confirmations. Good luck! 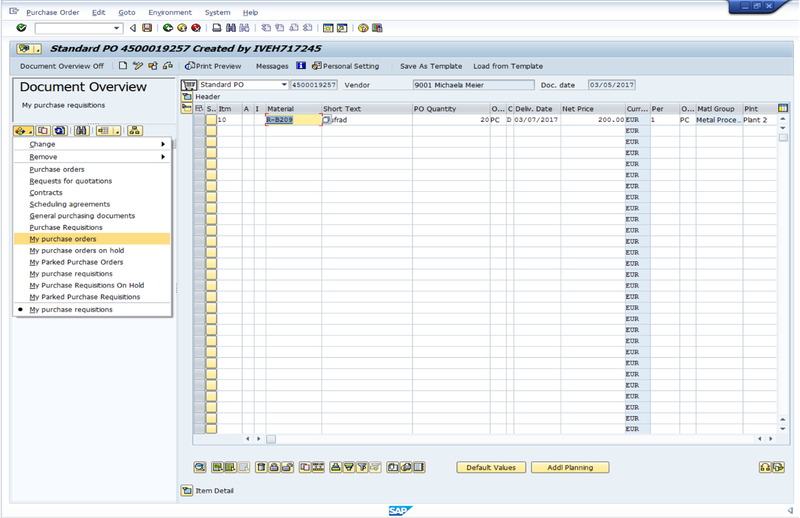 Can SAP generate an unique reference number when the supplier confirms order in SNC Portal? I checked all fields in PO confirmed schedule line while doing confirmation in Portal but didn’t get any standard field that can be used to store some reference no for the AB confirmation like “PO_CONF_AB”. So creating custom field is the only option and integrating with outbound XML Proxy and then ECC Inbound Structure to update the same reference no in AB confirmation of the PO in ECC?